You can make 3-in.-thick legs by gluing together two thinner pieces of stock. Orient the grain as shown to keep the joints tight over time. ▲ Bandsaw the legs. Klausz uses the bandsaw for roughing out the 3-in.-thick leg stock, sawing the legs in. oversize. ► Mortise two-step. 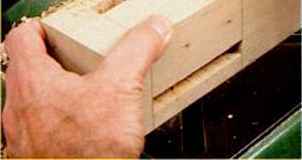 Establish each end of the mortise first, then chisel the middle in a series of overlapping cuts. I rough-cut the legs on the bandsaw, which is the best tool for ripping heavy stock. I saw the stock about in. over thickness, then I joint and thickness-plane the legs to final dimension and crosscut the legs to finished length. Now stand the legs upright on the bench and study the grain patterns. Pick the best two adjacent faces for the outside of each leg. Mark the end grain at the top of the leg to identify your outside faces and to indicate where the two apron mortises go. chisel attachment on the drill press for accurate, square-ended mortises. 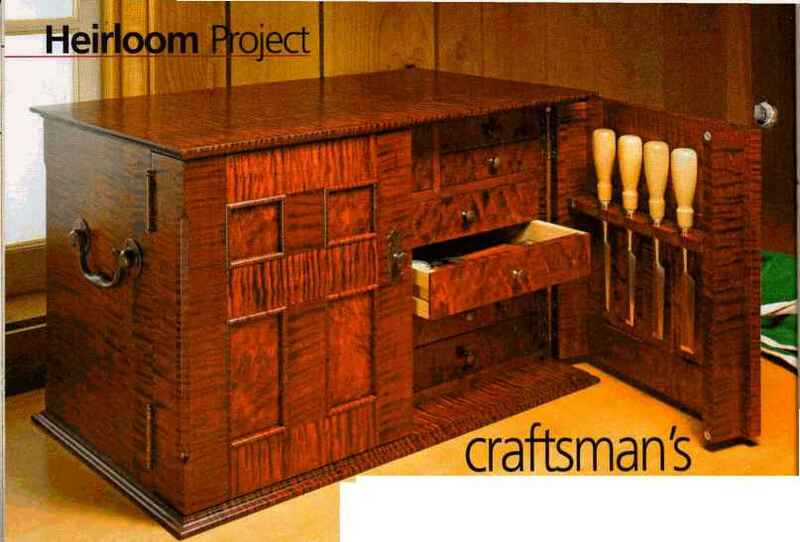 I use haunched joints in this table. (See Fig. 1.) 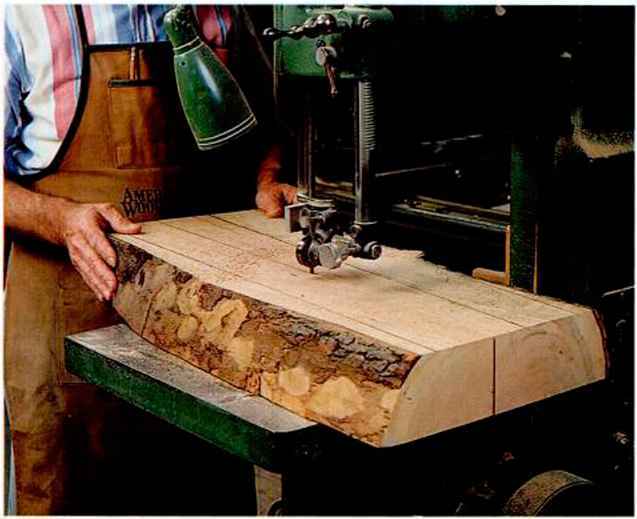 They prevent the aprons from twisting, and the haunched area at the top of each leg allows for more gluing area without weakening the short end grain at the top of the leg. I .ay out and square the mortise lines on adjacent sides of the stock for the full-length tenon. (See photo, above.) Now clamp a fence to the drill press table to guide the work. Be sure to allow for a V+-in. reveal where the aprons meet the legs. Set the depth of the chisel so the adjacent mortises will meet at right angles. Start mortising at one end of your layout lines, making a full-depth cut. Then move to the opposite end and make a similar full-depth cut. Next, make a series of overlapping cuts in the middle of the mortise. (See photo, above.) Cut all the mortises this way, then finish up by resetting the mortise depth and cutting the haunched areas at the ends of the legs. After sawing the tenons on the table-saw, I miter their ends at roughly 45°. The angle isn't critical, but you must leave about Vg in. of clearance where the two tenons meet in each leg. (See Fig. 1.) I bandsaw this miter cut by eye.